A man works in the operations department of a large bank. Employees call him from the field when they have problems with their computers. 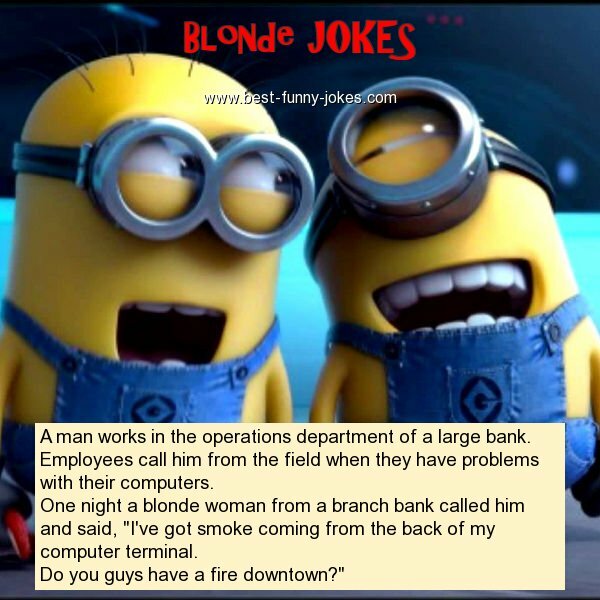 One night a blonde woman from a branch bank called him and said, "I've got smoke coming from the back of my computer terminal. Do you guys have a fire downtown?"